‘Ello, London! Six Reasons I “Fancy” London, England. History! It’s a mecca for history lovers. Though every bit the modern metropolis, the old and the new blend seamlessly in this city. 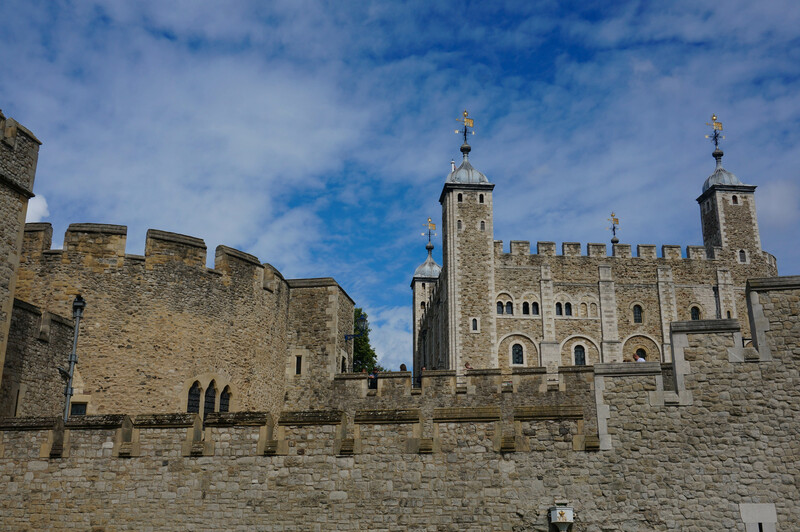 London has so many museums, monuments, and tours that cater to the history geek in all of us! Among the endless choices, my favorites were the Tower of London, and The British Museum. I actually thought that the Tower of London was just that: a Tower. I was surprised of course when I came upon this imposing fortress! So many events took place here to shape the modern world as we know it. It also houses the Crown Jewels, which we are not allowed to take photos of as told to me “politely” by a stern British lady in charge of guarding the royal jewels. Check out the Yeoman Tours when you vist. Those guys are amazing, knowledgable, and super entertaining. The renowned British Museum is not something you should try to conquer in a day like we tried. There are WAY too many things to discover there. 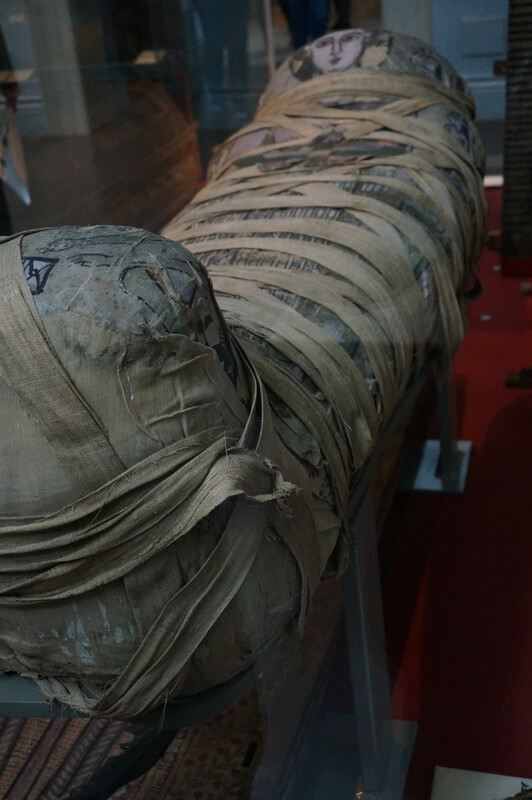 Of course, being that I wanted to be an Egyptologist as a kid, I headed straight for the mummies. 2. The accents and slang. My favorite travel partner and I just could not control ourselves. We sure did “fancy” that British accent and did our best to perfect it! We also discovered a sort of “language barrier.” There were certain encounters where the accents were so thick, we felt like they were speaking a different language. One instance was at the airport as we were trying to buy our Oyster Cards for the Tube. The guy kept saying, “You could put like 20 Quid. That should be fine.” Quid? I did not understand that “quid” was the British equivalent of “bucks.” I miss hearing those bloody wonderful accents all around me. What an amazing, efficient mode of transportation. As a girl born and raised in Southern California, public transportation is a bit of a wonder to me, and I have to say that compared to the street cars in New Orleans and San Francisco, the Subway in New York, and the Metro in Paris, the Tube is by far the most efficient and cleanest mode of public transport I have ever experienced. I also loved the polite reminder to “mind the gap” at every single stop. 4. Notting Hill and the Portobello Market. We rented an apartment off Airbnb and got to call Notting Hill our home for the duration of our visit, and I absolutely fell in love with it. If you have not yet discovered Airbnb, I highly recommend doing a bit of research before your next trip and finding a nice apartment to rent on there. You can find great places to stay for really inexpensive prices. I really think the reason I loved it so much was because I felt like we were truly part of the neighborhood. There were a couple schools down the road so we woke up to the sound of cute little British children walking with their parents to school. We were off the beaten path for tourists so the restaurants and pubs around us were filled with real Londoners and we were treated to listening to them share stories in their glorious accents. In fact, we were so accustomed to hearing only Brits that on our one pre-planned tour we took of Stonehenge later on in our visit, we were a little stunned at hearing familiar American accents around us again. I was happy to learn that our apartment was within easy walking distance of the infamous Portobello Markets! I am not a fan of shopping per se. I do my best to save my money for travel only, but I admit that sometimes I succumb to the girly stereotype. My boyfriend loathes shopping, so needless to say he was dreading venturing through the crowds of an “infamous market.” However, this was basically the perfect market for us. There are tons of food vendors serving pretty much any and all cuisine your heart will desire, so that kept Tim happy while I perused the endless rows of decently priced clothes, antiques, kitschy souvenirs, and more. You can find amazing deals anywhere there, and if you’re brave and clever you can bargain for lower prices, so that kept my wallet from losing too much weight. It was definitely a winning situation. While I would in no way call myself a fashion expert, or someone remotely interested in becoming one, I took notice of the way those Londoners dressed! Quite smashing if you ask me! Maybe it was the coats. It’s always cold in London of course so great coats are a wardrobe essential. I am perplexed as to why I even own as many coats as I do because I never get to wear them. Naturally, I packed them all for this trip and did my best to emulate those stylish Londoners. How did I do? 6. Seeing Big Ben in person for the first time. You see it in every postcard, every movie, pretty much everything that has to do with London, but there’s nothing like seeing it right in front of you. That’s when I realized exactly where I was. That’s when I smiled thinking about the little girl dreaming of looking up at Big Ben so I could see where Peter Pan told Wendy how to get to Neverland, “second star to the right, and straight on ’til morning” (thanks for that by the way, Disney and J.M. Barrie). I miss you already, London and I hope to return to you someday soon! I just want to buy a one way ticket to the UK from Vietnam right now after reading the post lol. Thank you for sharing! Glad you had a great trip and made a wonderful memory! Thank you for sharing your life with us! Aww thank you for being interested in my life 🙂 . I’m happy you enjoyed the post! Thanks for reading! Haha loved the bit about slang! Haha, it took me ages to realise that tourists didn’t understand words like ‘quid’! Nice! I’m in London now. Time to do some exploring. Thank you for reading 🙂 ! I think I could go back to London a hundred times and it would be a different adventure every time! Yes, there is so much there! I lived in London for three years and loved it! How lucky! Must have been a dream! Oh it was. I made so many friends and had so many memorable experiences. I go back to visit usually once a year. I even wrote a book about my life there and all the crazy things that happened. It’s called “Under The Cover of Darkness” and its on Amazon Kindle. Perfect, thank you! I was just going to ask for a link of some sort. Hah! Read my mind. Did you read my book yet? Awesome! I am excited to hear your opinion on it. My book “The Dutch Muse” starts out with the building of Stonehenge. I am very interested in what you have to say. Thanks! Cool!! I’ll check that one out once I’ve finished Under the Cover of Darkness. Thank you for sharing your wonderful experience. Oh, brings back so many wonderful memories that some I have forgotten and now, makes me want to go back again. Thank you for reading! I’m glad it brought back good memories! Happy Holidays!! Hope your New year is blessed! I hope yours is as well. Mine has been very blessed! I just sold 12 copies of my books on line in one day! Nice post! London is a city you can simply fall in love with. Thank you, Caroline! Yes, I agree. Such a gorgeous, unique, and iconic city. Always something going on!